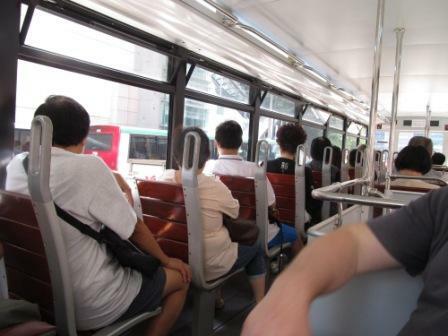 Hong Kong Tram Tour is not only for the tourists, but also for the public. It is a means of public transportation only in the Hong Kong Island. It has existed for over 100 years (since 1904) and is really one of the icons of Hong Kong. People in my mom's generation or older still sometimes call it "Ding Ding". It is because instead of honking, it "ding ding" to signal people or vehicles around it. It moves pretty slow. But in the busy traffic, it may take you to your destination comparatively faster than any other transportation means with a super low fare - HKD2.3 (approximately USD 0.25; price as of Oct 2012). Typically, most trams look like the one in the picture which is on top of this page. Yes, almost every one of them has advertising on its body. However, it was dark green in the past. Last time when I went back to Hong Kong, some of them have air-conditioners. The seats and everything are so modern. Although it looks cleaner and more comfortable, it lost some of the charms, in my opinion. 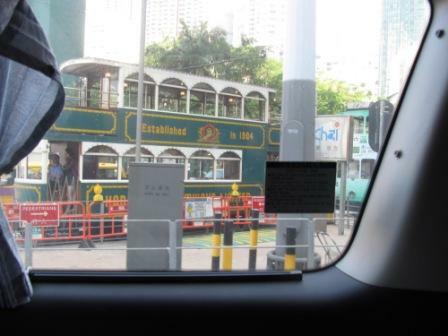 A few decades ago, I saw one Hong Kong tram occasionally which looks so fancy. It is reserved for party. If you are interested to have a birthday party, you will definitely get on one of them. You don't see this kind of tram on the road very often. I took this picture in the car. I knew that it would take forever to see one again if I didn't grab the opportunity. To travel Hong Kong Island and check out the activities, buildings, legacy of the British colonial rule at a moderate pace with an affordable price, Hong Kong tram tour is the must for you. Make sure to get on the upper deck seating for a better view. There are 3 routes for Hong Kong tram tour. Depending where you are, you can start this tour at any time and anywhere. To get on the Hong Kong tram tour terminal, (from East to West) Shau Kei Wan tram terminal, takes the tram going to Happy Valley where you can check out the Hong Kong horse racing court. Shau Kei Wan is the district that it is very close to the Hong Kong Museum of Coastal Defence. You can check it out first before taking the Hong Kong tram tour. From this old district, you start to see some big housing estates and commercial buildings. Tai Koo Shing, where I worked in this area for 4 years, is a upper middle class area. Many Korean and Japanese live in this area. These people are appointed to work in their corporate Hong Kong offices. And they are big, well-known corporations. You can take off at the station of Jusco where there is a big supermarket in this department store where their products are Japanese oriented. If you decide to stay on the Hong Kong tram tour, you will pass by the Victoria Park in Causeway Bay. 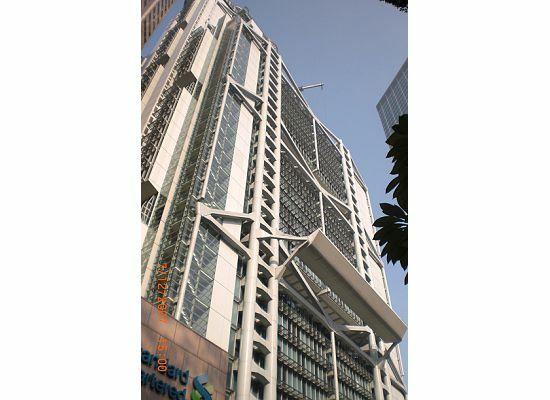 Right across from it, is the Hong Kong Central Library. Continue on, and you will still see the park on your right hand side. 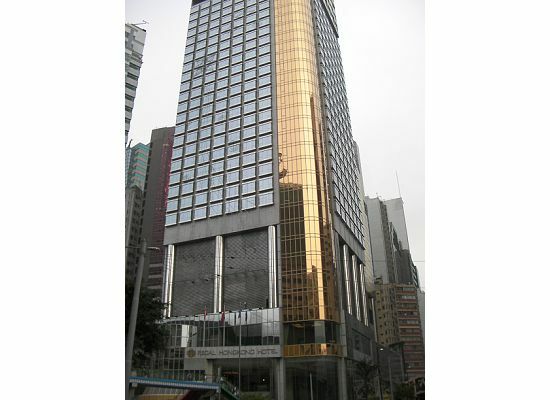 Then, you will see the Regal Hong Kong Hotel on your left. 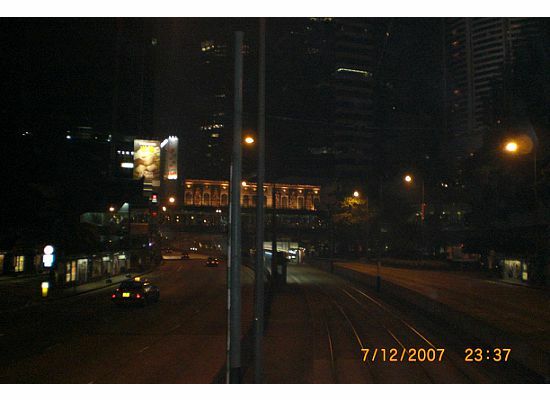 In front of the hotel, it is another tram terminal. You must get off the tram when you reach the last terminal (in Happy Valley). Wait at the same tram station for the one going to Shak Tong Tsui or Kennedy Town (the furthest end that the tram would go). It sometimes takes very long to wait for the right one. This trip will be more exciting. You can get off the tram at any time to check out some of the places. No matter how far the distance, it only costs you HKD2 each time to get off. After leaving the terminal, you will see the horse racing court from another angle. The tram rail literally goes around the court. 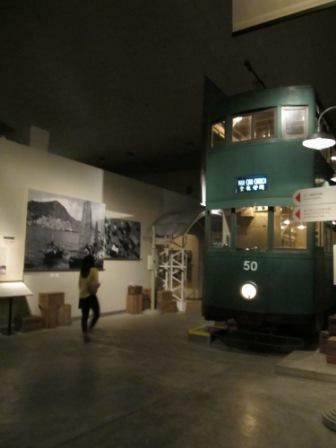 In the next tram station, you may stop by and check out the Hong Kong Racing Museum. If you take the Hong Kong tram tour from Shau Kei Wan to Kennedy Town or Western Market, you would go passed the jewelry shops on Hennessy Road. At the tram station under the bridge (a fire house on your right hand side), you will see many old women using a slipper hitting something really hard with anger on the ground. They are the "agents" helping people to chase the "evil" people away. It's something superstitious, in my opinion. What it supposed to do is, if someone you know is doing something bad behind your back, you come to these old ladies. They will ask for the name of the person you don't like and some other brief description and/or information. She will write it down on a piece of paper. Then, she starts to use the slipper to smack this "person" whose name is on that piece of paper while mumbling some kind of "curse". I have never done this before so I don't know how much it would cost and/or how long it takes for the whole procedure. Sounds crazy, huh? Just a couple minutes walk from the bridge or these "agents", is the Hong Kong Time Square. 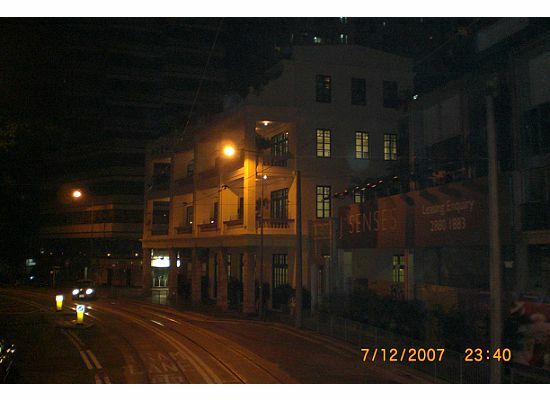 Believe it or not, there was a BIG Hong Kong tram tour terminal where the building is now located. I remember the school bus would pass by it every morning when I was still in elementary school. After that, you will get to see Wan Chai, a district still transforming from old residential area to high-end commercial area. You can stop by and check out the Hong Kong Convention and Exhibition Centre. If you decide to stay, you will pass by the pawn shop which turned into a restaurant now, and Cosmos Book store. This building was a pawn shop. Other than the new paint, everything stays. Now, it is a restaurant. See the building with the lights through the windows. That was the pawn shop. Along this same street, you will see a lot of stores where you can buy many clothes at a SUPER low price. A couple blocks before this building, it is the Wan Chai market. After that, pay attention to your right hand side, there is a church at the intersection which is triangular in shape. It is one of the landmarks. Two more stations, you will reach the Pacific Place Mall. You can stop by to shop and eat. There is a supermarket where you could buy many great foods from all over the world. The tram stations at the Pacific Place. In the middle of this picture, you can see the Hong Kong tram rail clearly. Bank of China tower (the building on the right in the picture). It is between the Pacific Place Mall and Central. You will come to a "Y" where you can see the old Bank of China building, which is about a block away from the new one. 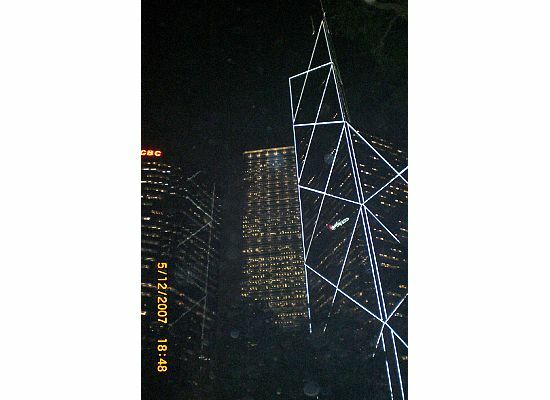 Not long after passing the old and new buildings of the Bank of China, you will see the famous HSBC Building where the bank headquarter is located. Otherwise, keep going. You will get to Central, the "capital" of Hong Kong. You may need to raise your head all the time to look at the buildings in this district. If you want to take the Star Ferry, you may want to get off the tram in front of the Landmark, another great place for Hong Kong luxury shopping, and walk towards the harbour. You can check out and shops in Landmark, Prince's Building and the IFC Towers. 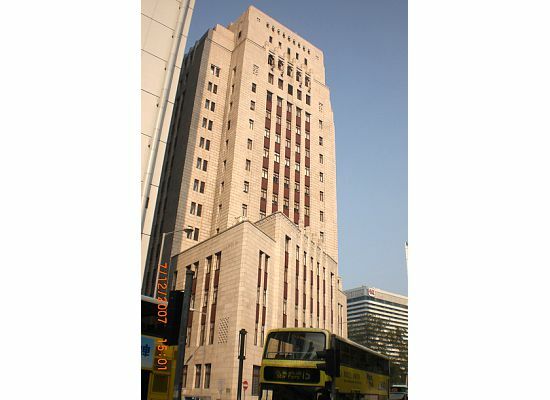 Or stay in the tram and move on to Sheung Wan and pass by the Western Market building. 2 stations before that, you will pass by a great seal stone shopping place, Man Wah Lane. Moving on with the Hong Kong Tram Tour to the Western District...Before you can see how this district looks like, you may start to smell something fishy or maybe stinky. As soon as the tram gets on the straight road, you will realize that there are many stores on both sides of the road. What they are selling are pretty much the same stuffs. They sell all the dried luxurious Chinese food, such as shark fins, sea cucumber, abalone, sea scallops, salty fish and many more. That's where all the smells come from. In the stores along the main road and the Hong Kong tram tour rail in the Western District, don't be shocked to see a GIGANTIC sharkfin in the display window. As a westerner, like Perry my husband, you may think that they are disgusting. But the whole store of inventory is worth several hundred thousand US dollar easy. This was also the district where the British first landed. 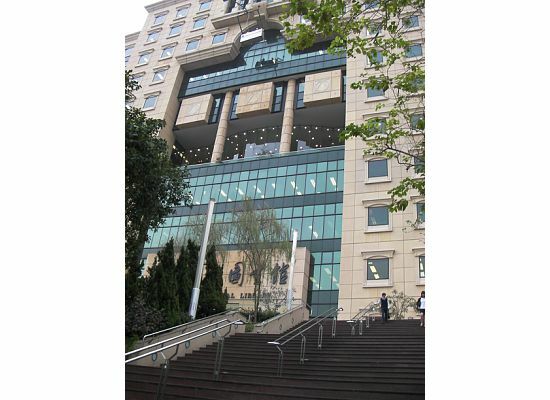 If you walk up the hill, there is the University of Hong Kong. This district needs re-development very badly. Transportation is not that convenient. But you could see how Hong Kong prospered from this district to the rest of the area. 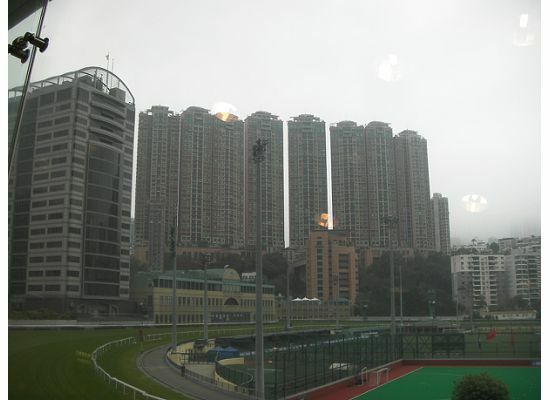 The cost of living here is comparatively lower than other areas on Hong Kong Island. 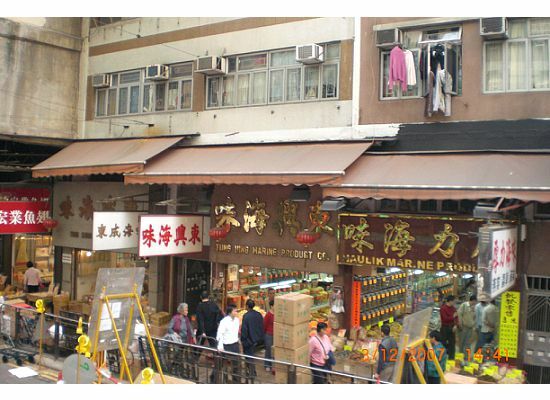 My parents used to make a special trip here to buy gourmet Chiu Chow food, the Chinese town where my father came from. You must get off the tram at the last terminal. You can take the tram going to North Point or Shau Kei Wan to look at the places that you passed by earlier. Or you can take bus no. 10 or 5 to get back to Central and go from there. For the whole tram ride from Shau Kei Wan through Happy Valley to Kennedy Town lasts about 1-2 hours (depends on the traffic conditions) if you don't get off the tram, plus no technical problems (which happens once in a while). If you take the Hong Kong tram tour at night, you may possibly pass by 1 or 2 trams that look so elegant. It is for people to reserve the tram for a special event, such as a wedding, birthday party and so forth. Every time when you get off the tram, you need to pay the fare which is HKD2.3 no matter how short or how long the tram tour is. Even though you have to get off several times, you got nothing to lose with such a cheap fare. And the most important of all, you can see the overview of Hong Kong Island within a short period of time. 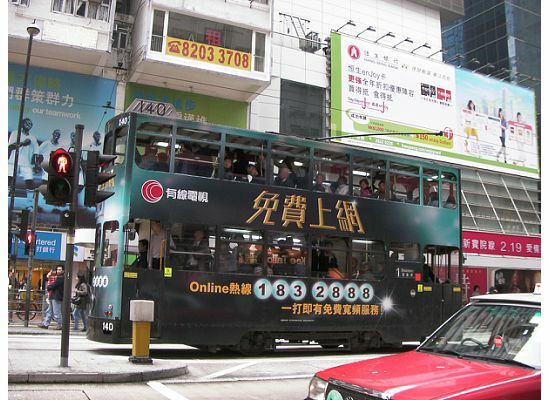 For more Hong Kong Tram Tour information, click here.